Antec has entered the memory market with the inventively named Antec Memory brand, while also revealing three new cases at Computex 2018. Antec Memory will make its debut with the 5 Series RGB Memory Kit available in black or white along with the 5 Series TUF Gaming Alliance Memory Kit, which is branded in conjunction with Asus. These mid-range kits are both 8GB DDR4 single-DIMM offerings with RGB lighting and speeds of up to 3,000MHz. There are likely to come further series such as a lower-end 3 Series and a higher-end 7 Series. Pricing and availability are still to be confirmed. Moving now to cases, Antec had on display three new models. The first is the P100 Evo, a steel and plastic mid-tower set to launch in Q4 2018 for $89 excluding VAT. 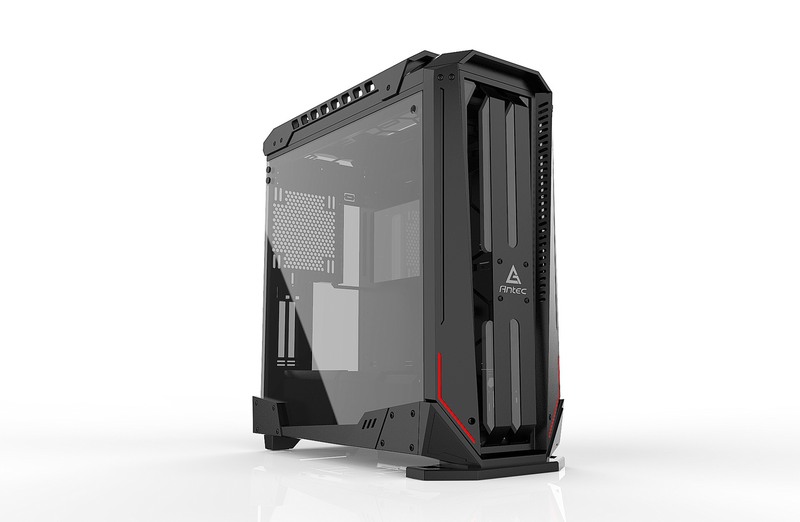 It has sound dampening side panels, E-ATX motherboard support as well as ATX, micro-ATX, and mini-ITX. Internally, we find a PSU shroud and, unexpectedly, a single 5.25” drive bay. A few more specs can be seen in the picture above. Next is the Krypton, which will also launch in Q4 2018, this time for a retail price of $179 excluding taxes. This is much more of a high-end offering, with hinged tempered glass panels on both sides, a removable PSU shroud, and adjustable RGB lighting with motherboard synchronisation support. This time there is no optical drive bay, and the Krypton can thus accommodate 360mm radiators in both the front and the roof. Lastly, there is the open-air and modular Project X prototype chassis. Antec has again set a Q4 2018 release date for this, and the retail price is expected to be between $229 and $249 excluding taxes. 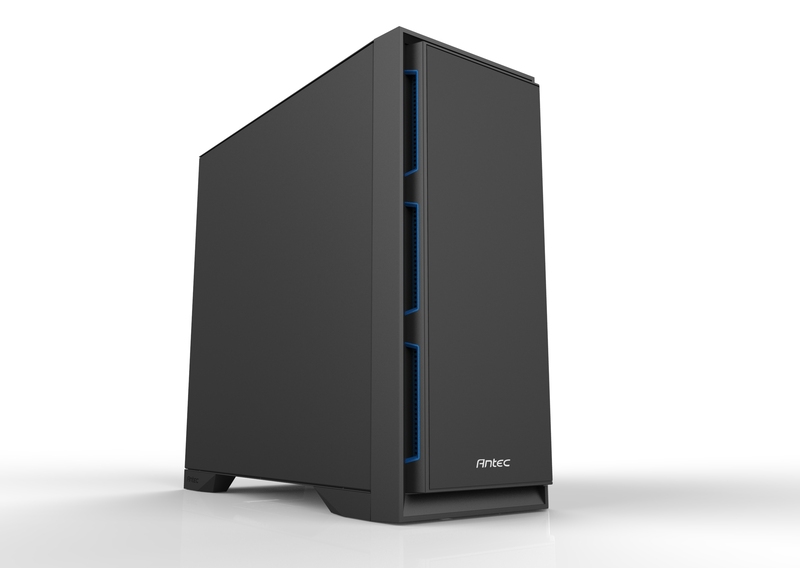 Antec aims at those in the market for a head-turning, open-air case.